There are two muscles in the lateral compartment of the leg; the fibularis longus and brevis (also known as peroneal longus and brevis). The common function of the muscles is eversion – turning the sole of the foot outwards. They are both innervated by the superficial fibular nerve. 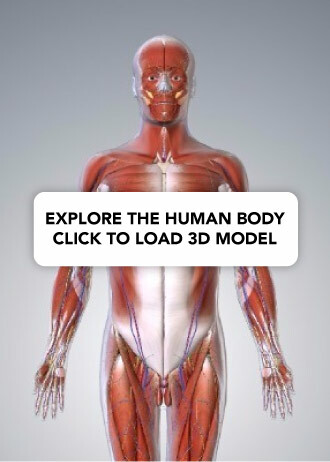 In this article, we shall look at the anatomy of the muscles in the lateral compartment of the leg – their attachments, innervation and actions. Note: From the anatomical position, only a few degrees of eversion are possible. In reality, the job of these muscles is to ‘fix’ the medial margin of the foot during running, and prevent excessive inversion. The fibularis longus is the larger and more superficial muscle within the compartment. 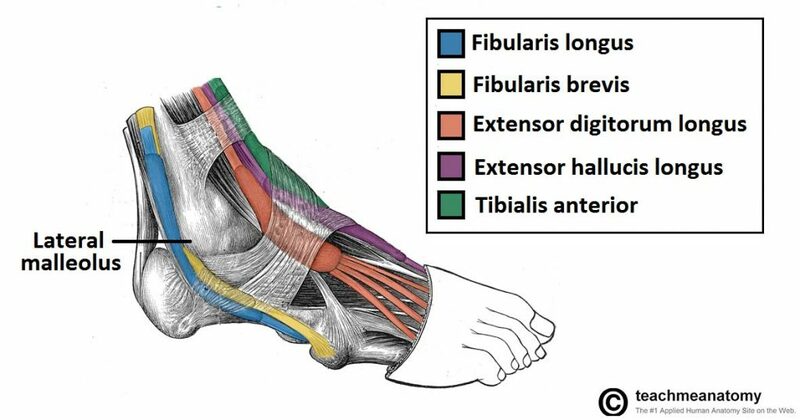 The fibularis longus originates from the superior and lateral surface of the fibula and the lateral tibial condyle. The fibres converge into a tendon, which descends into the foot, posterior to the lateral malleolus. The tendon crosses under the foot, and attaches to the bones on the medial side, namely the medial cuneiform and base of metatarsal I. Actions: Eversion and plantarflexion of the foot. Also supports the lateral and transverse arches of the foot. Innervation: Superficial fibular (peroneal) nerve, L4-S1. 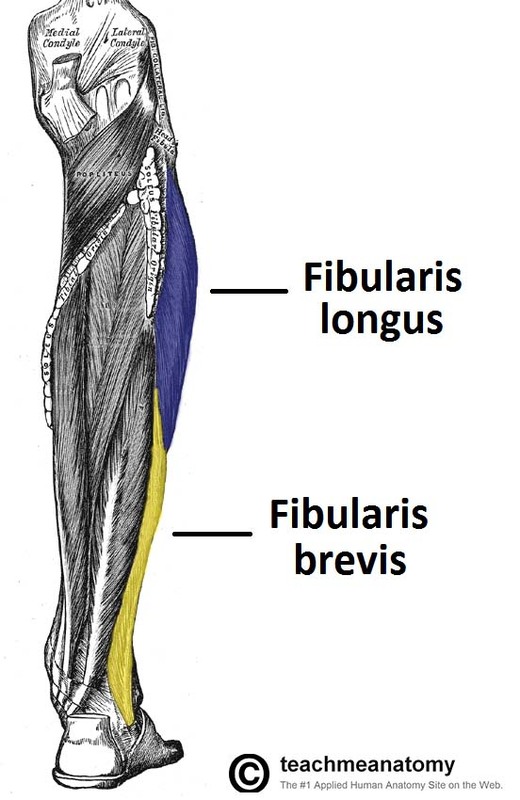 The fibularis brevis muscles is deeper and shorter than the fibularis longus. Originates from the inferolateral surface of the fibular shaft. The muscle belly forms a tendon, which descends with the fibularis longus into the foot. It travels posteriorly to the lateral malleolus, passing over the calcaneus and the cuboidal bones. 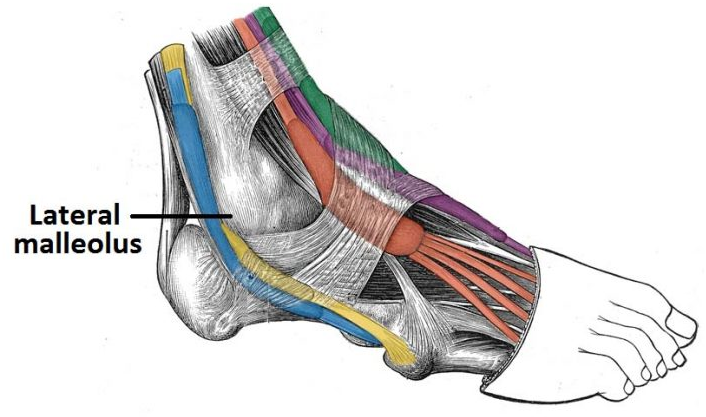 The tendon then attaches to a tubercle on metatarsal V.
Fig 1.1 – Lateral view of the tendons of the foot. Note the fibularis longus tendon, as it moves underneath the foot. The common fibular nerve can be a difficult structure to identify. However, it can be located using the fibularis longus as an anatomical landmark. There is a small space between the parts of the fibularis longus that originate from the head of the fibula, and the neck of the fibula. The common fibular nerve passes through this gap, and is easily identified. After passing through the gap, the nerve terminates by bifurcating into two terminal branches; the deep and superficial fibular nerve. Which muscle tendon has been highlighted in blue? Which nerve innervates the muscles in the lateral compartment of the leg? Which statement most accurately describes eversion of the foot?